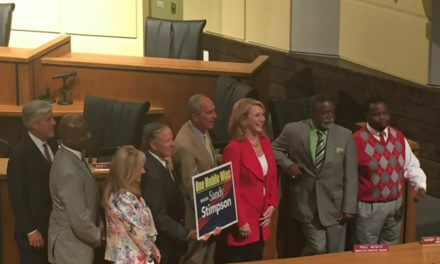 Mayor Sandy Stimpson has fired Mobile City Council spokeswoman Marion Steinfels in an apparent response to a disagreement with councilors, Council Vice President Levon Manzie confirmed in a statement. In the statement emailed to Lagniappe this afternoon, Manzie said the council was “extremely disappointed” with the action and accused Stimpson of personally retaliating against Steinfels. In her own statement, Steinfels confirmed that city attorney Ricardo Woods informed her Thursday morning that her position had been eliminated. She said she was “completely blindsided” by the move. Steinfels said her city issued phone was disabled within minutes of the notice. “A few minutes later, in the middle of a conversation with one of the council members, my phone service went dead,” she said. Steinfels said in the statement she has enjoyed her time working for the council and the residents of Mobile. City spokeswoman Laura Byrne said in a statement that city policy doesn’t allow for comments on personnel matters. 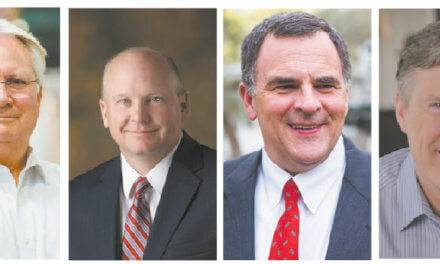 Despite working for the council, Steinfels was appointed by Stimpson in 2016. She was hired outside of the merit system, meaning she does not have the protections granted under the Mobile County Personnel Board. According to a recently obtained list of non-merit salaries paid by the city, Steinfels made $65,000 per year in her position. Councilors and administration officials have been at odds publicly over amendments to the 2019 budget passed by the council at the end of last month. Some of those amendments resulted in a significant cut to funding for Stimpson’s communications staff. Councilors also made cuts to GulfQuest Maritime Museum of the Gulf of Mexico and the mayor’s Innovation Team.